Canon Europe, the world leader in imaging solutions, has redefined the frontiers of photography and filmmaking with the launch of the pioneering EOS R System. Over thirty years on from the original, era-defining EOS launch, the bold, new EOS R System will once again expand photographic possibilities in countless ways. The new RF lens mount has been engineered with the perfect blend of optical, mechanical and electronic design to capture unique moments in previously impossible ways. Since its inception in 1987, the EOS System – including Cinema EOS – has grown into the most recognized imaging system in the world. Today’s introduction takes the EOS platform to new heights, incorporating the best from the existing system, with even greater levels of performance, lens design possibilities, and creative flexibility. The new RF mount has been built on the strengths of the existing EF mount and is the result of detailed research by Canon engineers, who have designed an impressive optical system with a flange back distance of 20mm and a wide 54mm diameter lens mount - allowing for even greater freedom when designing lenses. The new mount’s 12-pin connection enables enhanced communication and power transmission between the lens and camera body, further enhancing lens design options, resulting in higher image quality and enhanced usability. Built from the ground up, the new System has been re-engineered with invaluable input during the System’s development from professional and enthusiast photographers and filmmakers. The EOS R System with RF mount and Dual Pixel CMOS AF delivers unrivaled optical excellence, the world’s fastest autofocus[i] and faster communication between camera and lens. Features that are synonymous with EOS – fast performance, superb ergonomics and superior, uncompromising, image quality – remain at the heart of the EOS R System. Featuring innovative technology for photography and filmmaking alike, the EOS R System allows all users to shoot and film in extremely low light with accurate focusing, thanks to Dual Pixel CMOS AF. Small and discreet, the EOS R System gives flexibility, plus the advantage of silent shooting. It also offers the highest standard of movie output from any Canon EOS System camera, outside of the Cinema EOS range, enabling filmmakers to take their storytelling to the next level in 4K with output in 10-bit over HDMI. The whole system has refined handling and enhanced ergonomics, including an electronic viewfinder and extensive customization, allowing the user to the focus on the subject rather than the camera. The EOS R System inherits all the existing system advantages, importantly full compatibility with existing EF and EF-S lenses and accessories[ii], when using one of three newly-developed lens adapters, expanding the boundaries of image capture. Canon has today also launched four new lenses, compatible with the EOS R System – the RF 28-70mm f/2L USM, RF 50mm f/1.2L USM, RF 24-105mm f/4L IS USM and RF 35mm f/1.8 MACRO IS STM. Building on Canon’s lens heritage, these high-performance lenses will push forward the frontiers of creative capture thanks to the new cutting-edge optics and advanced image processing for both stills and video. 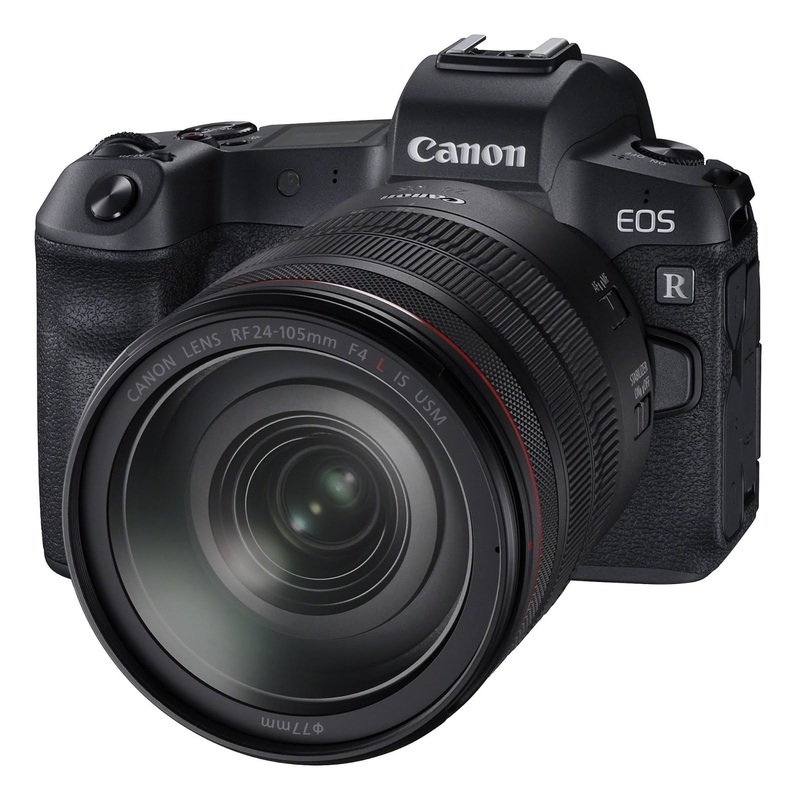 Additionally, users of existing Canon EOS full frame or APS-C DSLR cameras can enjoy the EOS R System with their existing EF and EF-S lenses thanks to the adapters, while retaining the same performance as when used on a DSLR, as well as access to EOS accessories and Speedlite flashes. 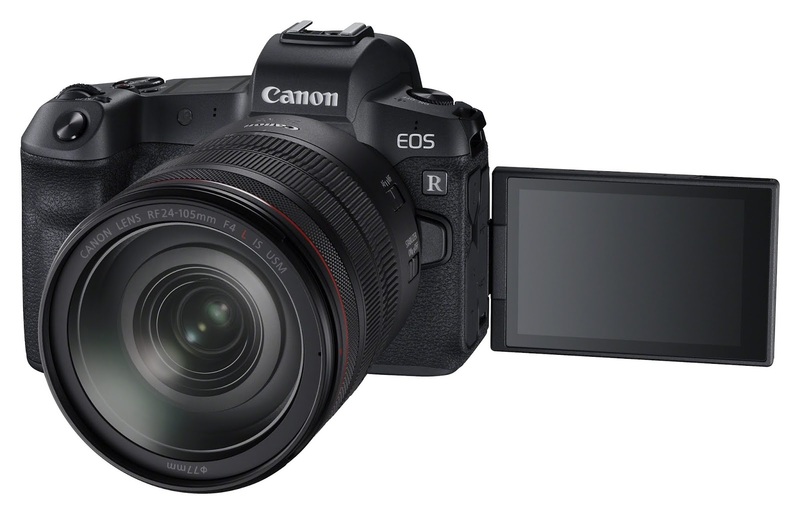 Adding to the EOS full-frame line-up, Canon has today unveiled the first camera body to carry the EOS R name and RF lens mount - setting the new standard for the camera of tomorrow. With the world’s fastest autofocus[iii], it is also the world’s first camera with the ability to focus in light conditions as low as -6EV[iv] and totally silent shooting, providing stunning quality results every time. The EOS R redefines photo and video performance with unrivaled image quality, state-of-the-art connectivity, refined ergonomics, and responsive handling.